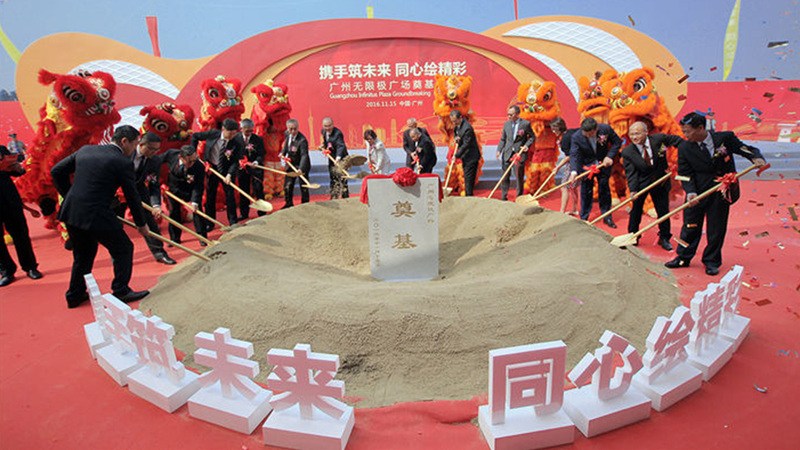 A groundbreaking ceremony for Guangzhou Infinitus Plaza, constructed on plot No. AB2910019 in Baiyun New Town, Guangzhou, Guangdong Province, China, was held on November 15, 2016. The plot of land was acquired by LKK Health Products Group (LKKHPG), through its member Guangdong Infinitus Property Development Company Ltd., in May 2016 for RMB 2.01 billion (approx. USD 294 million). World-leading architect Zaha Hadid, who was known as the "Queen of the Curve", served as the designer of the project. It is the first project among Zaha Hadid's final architectural works to break ground. Mr. Lee Man Tat, Lee Kum Kee Group Chairman and his wife, Mr. Charlie Lee, Chairman of Lee Kum Kee Sauce Group, Mr. Sammy Lee, Chairman & Managing Director of LKKHPG and his wife, and Mr. Satoshi Ohashi, Director of Zaha Hadid Architects in the Far East, as well as more than 500 distinguished guests and journalists attended the ceremony. Guangzhou Infinitus Plaza will be a complex of modern buildings that combines health, fashion, environmental conservation and intelligent technologies, comprising several facilities including a new global R&D centre, a Chinese herbal medicine research and safety assessment centre, as well as a corporate exhibition centre and gallery. 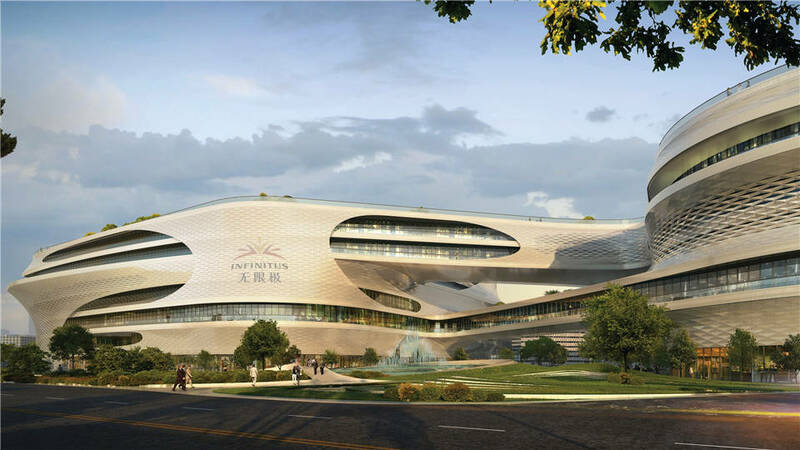 It will serve as the new headquarters of Infinitus (China) Company Ltd., a member of LKKHPG, meeting Infinitus' projected business and office needs for the next 10 to 15 years. The overall investment in the project will reach RMB 4.5 billion (approx. USD 659 million), and the construction is expected to be completed in the second quarter of 2020. "24 years ago, Infinitus started its business in Baiyun District. And today, 24 years later, Infinitus embarks on its new journey here again," said Mr. Harry Yeung, Senior Vice President of LKKHPG. "Guangzhou Infinitus Plaza reflects Infinitus' commitment to the health industry and the Spirit of Constant Entrepreneurship. 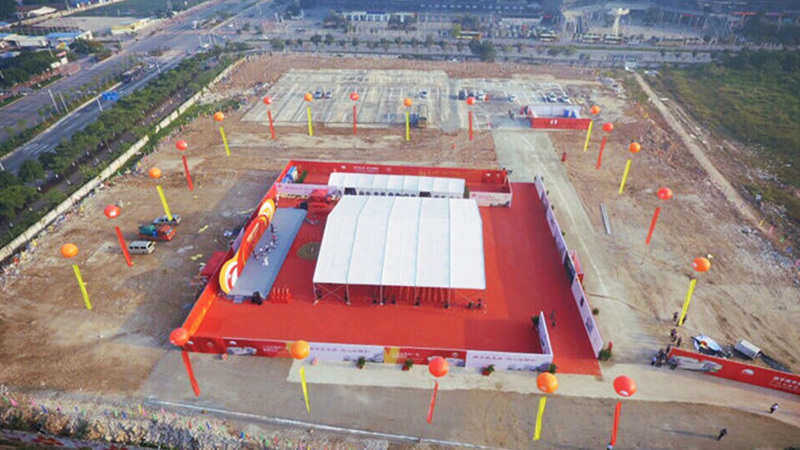 It will bring customers and employees a dynamic new environment, and drive the economic growth of Baiyun District and the surrounding areas. " Mr. Satoshi Ohashi enjoyed 30 years of working experience with Zaha Hadid. He said: "Ms. Zaha Hadid gave a high evaluation and expectations of this work. 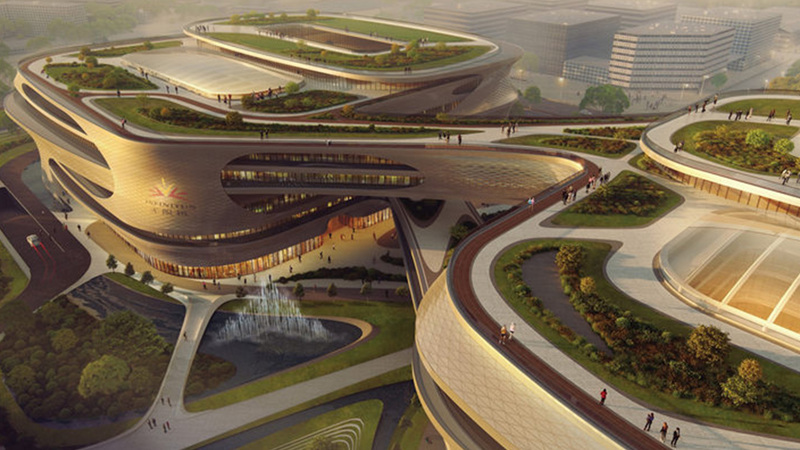 The design of Guangzhou Infinitus Plaza continues her legacy. As she had referred, this fluidity of the architecture had the coherence and intricacy of nature. Infinitus has a vision for nurturing healthier lives and adheres to the Spirit of Constant Entrepreneurship. Zaha Hadid has translated this to create a new workplace environment that nurtures openness and communication. 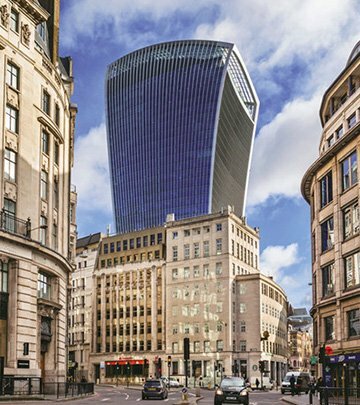 The design activates the city and its surrounding conditions, while implementing the latest technologic solutions and construction methods to create a functional, adaptable and enjoyable workplace." The health industry will embrace broader development space under the guidance of the national strategy "Healthy China". Upon completion, Guangzhou Infinitus Plaza will be an important anchor to the health industry development of Baiyun District, contributing to the local economy with excellent employment opportunities. 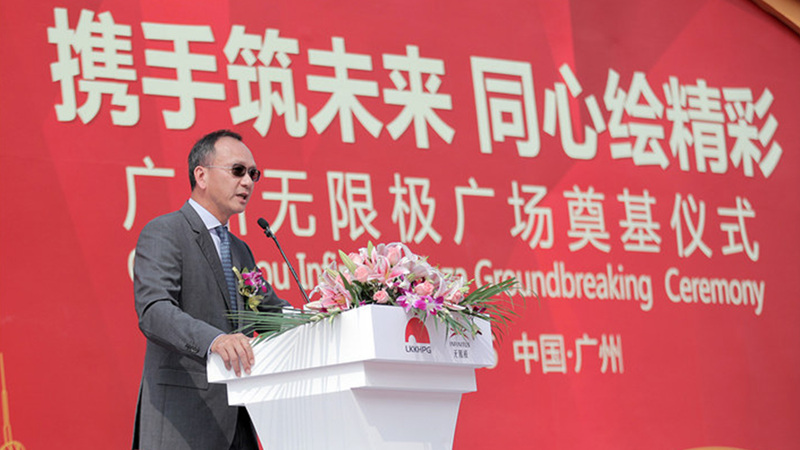 Guangzhou Infinitus Plaza is the first large project in which LKKHPG conducted site selection, conceptual planning, and construction all by itself in Chinese Mainland. 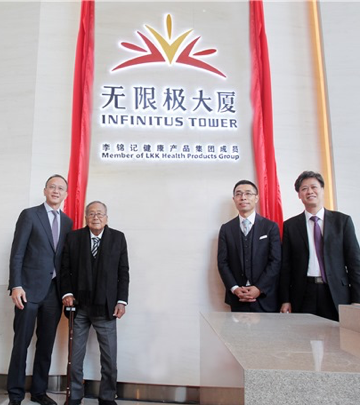 LKKHPG had earlier acquired the Infinitus Centre in Zhujiang New Town, Guangzhou; the Infinitus Plaza in Sheung Wan, Hong Kong; and the Shanghai Corporate Avenue 3 (soon to be renamed Infinitus Tower) in Huangpu District, Shanghai. This collection of quality properties is expected to meet the long-term development goals of LKKHPG while providing strong support for the sustainable and healthy development of Infinitus' business.